South Korea has successfully tested a counter-missile system for use by military aircraft carrying special forces deep into enemy territory, officials here said Wednesday. The trial of the indigenous directional infrared countermeasures system was conducted in July at the Anheung test site of the state-run Agency for Defense Development. "There was a successful outcome (to the testing)," a military official said on customary condition of anonymity prior to a formal announcement by the relevant authorities. The DIRCM disrupts the enemy's infrared signals to stop guided missiles reaching aircraft equipped with the system. Hanwha Systems, a local defense firm, is developing the device in a contract with the ADD. "The successful test is very encouraging," the official said. "We will make efforts to deploy the system as soon as possible and reinforce the combat readiness of special operation forces." 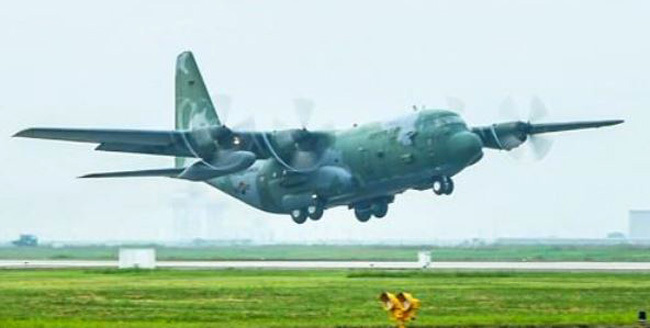 The DIRCM can be installed on C-130H transport planes, which South Korea's military is pushing to upgrade. The South's military is seeking to beef up its ability to remove North Korea's leadership in the event of an emergency situation, responding to its communist neighbor's continued provocations and threats. Speaking at the National Assembly early this month, Defense Minister Song Young-moo revealed a plan to create a combat unit to carry out a so-called decapitation mission similar to the Navy SEALs' operation to take out Osama Bin Laden in 2011.